Many companies take advantage of the exhibitions and events in which they participate to appear and show off to the society, to its market or its target audience. To make a more effective this appearence, in most cases, they want the use the latest technology available on the market. Many companies present at exhibitions use digital interactive information because they know the impact is much higher. The visual aspect (the image of companies) become, today, a differentiating factor that all the companies pay attention. All marketing directors know that "the image sells". These digital tools such as multimedia kiosks and digital advertising panels give a great help to companies in the struggle for a prominent position in a market that is quite competitive. 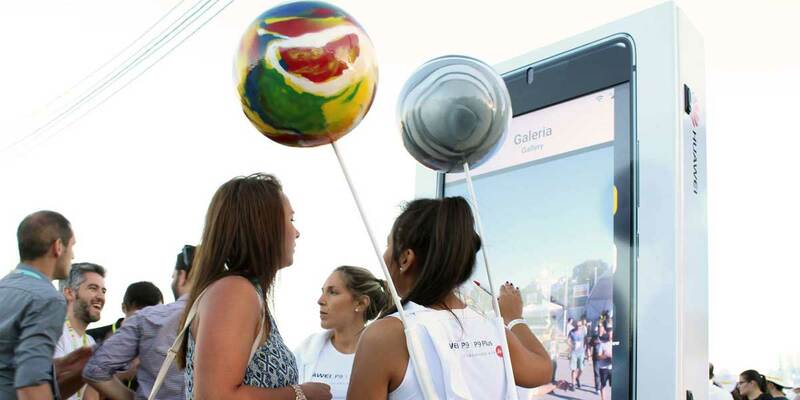 • Inform and publish different ads for events that occur during the event. 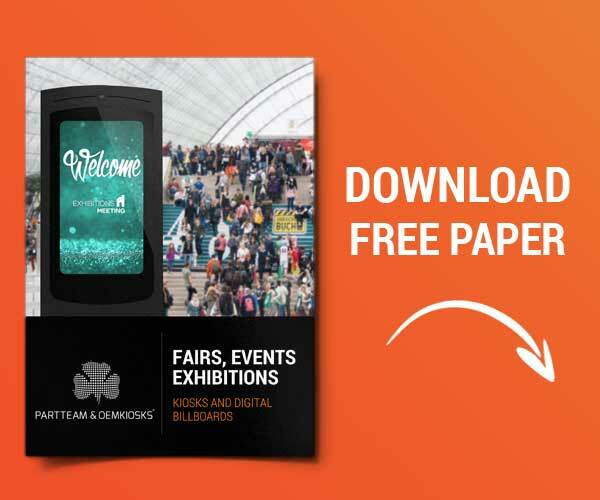 • Directory Kiosk with a graphical interface capable of doing a search the event stands and companies that are in the event. • Hot-spot for the event. • Ticket Dispenser for seminars.